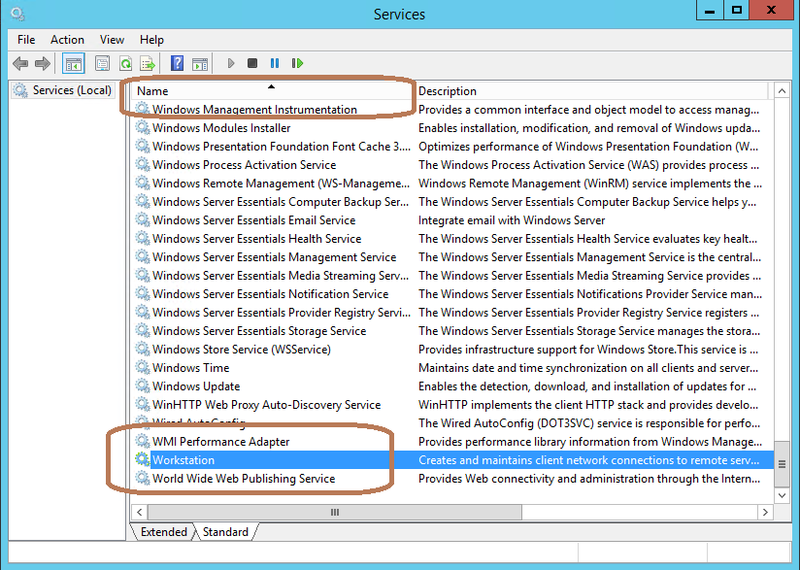 This Reference Article defines and explains the topic of use SC Commands with services management in Windows. In the past, the NET command can be used to start, stop or pause services only. If you want to make other changes to the services, you will have to do it via the MMC plug-in or SC commands. SC command is a command line interface that communicates directly with Service Control Manager. You can use SC to perform tasks against service that normally require MMC plug-in. Unlike NET command, you can use SC to manage services on another computer. "net" is synchronous and "sc" is asynchronous. it returns control at the command prompt. on the service to stop before it returns to the command prompt. The Service Name used in SC command refers to the actual name of the service. It is not the same as the name you see in the Service Console. 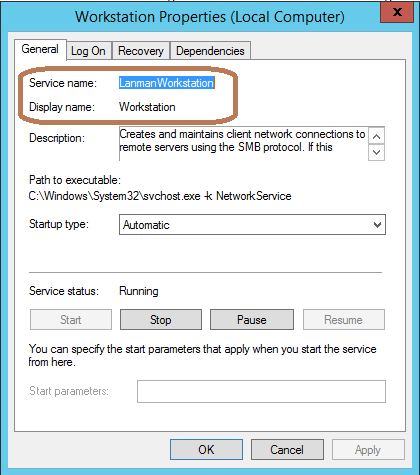 In the example below, the Workstation service as shown in the Service Console is actually named LanmanWorkstation. When entering the service name information in the SC command, remember to use Service name. A successful SC execution does not mean that the command you issued to the SC was executed successfully. It only means that SC was successful in submitting the command to Service Control process. You should use secondary method to confirm the successful execution of your command.